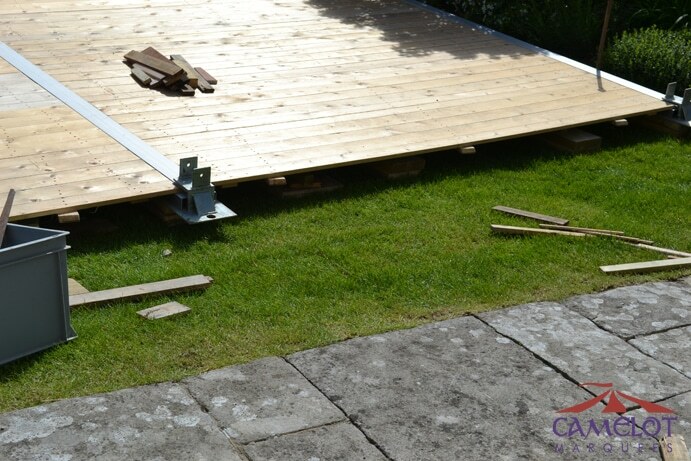 Hard Flooring Your Marquee – whats involved? Many people ask us about hard flooring and common questions that arise are those such as “What’s the price difference between hard flooring and matting?”, “What is the advantages of hard flooring?”, “How big is the floor”, etc. 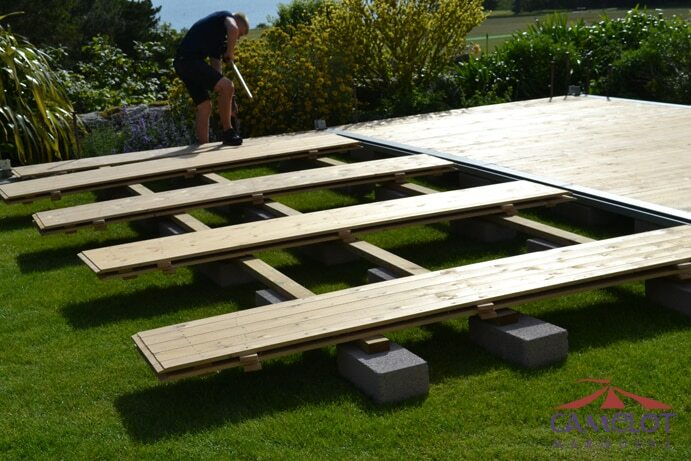 This short article will try to tackle all of these questions and more, to give you a conclusive view of the pros and cons and everything that is involved with installing a hard floor for your marquee event. Different marquee companies offer different options when it comes to flooring, although they generally fall into 2 or 3 different areas. nothing – just the bare ground that the marquee is erected on, be it concrete, grass or other. matting – many options available here, from traditional coconut matting, to coir matting, charcoal matting and various carpets. hard/solid flooring – this is what we are going to be talking about here. 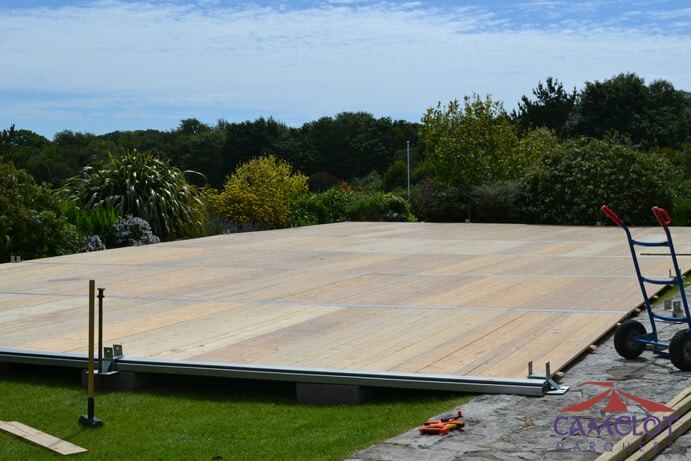 Why have a hard flooring system for your marquee ? 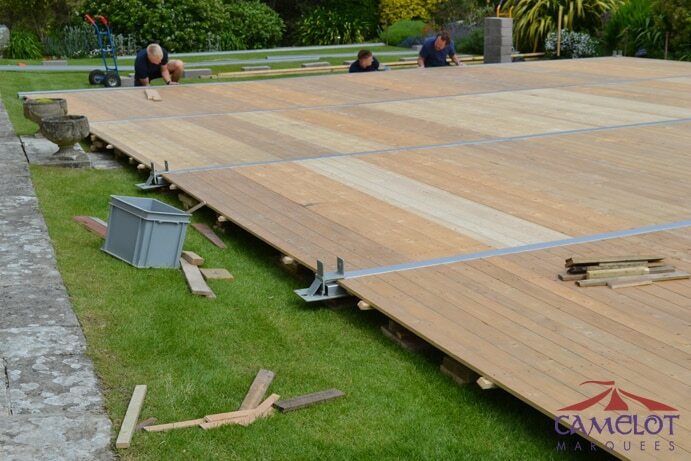 Now obviously hard flooring wont be required for every event and you should be guided by the marquee company who asses each job on an individual bases as every site is different as is the wants and needs of the client. 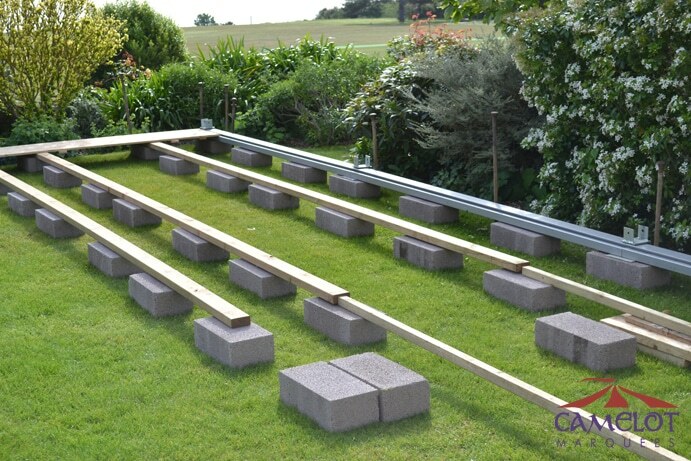 lid level base for you to work off, along with raising the whole structure off of the ground which will drastically improve the atmosphere inside against damp. 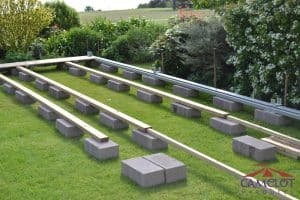 The raised base will also allow rain to pass underneath it should you be unlucky with the weather, something which matting directly on the ground can be prone to, especially on uneven surfaces like fields where water pooling can happen. There are also cosmetic benefits with the look between a matted marquee and one with a flooring system being huge. 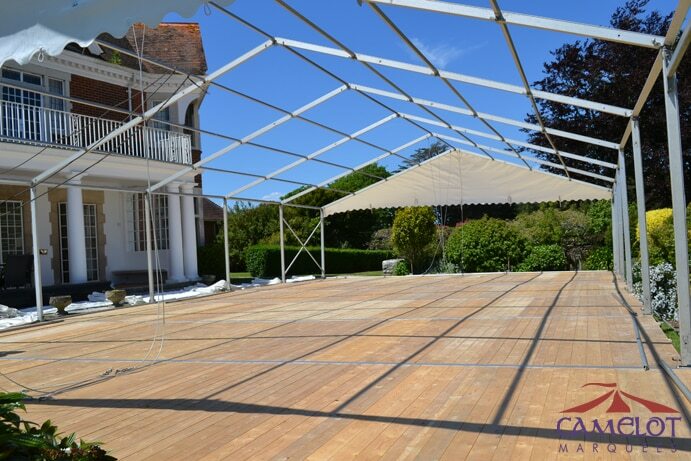 Guests that walk into a marquee with a wooden floor and be very impressed with the finish that can be achieved. 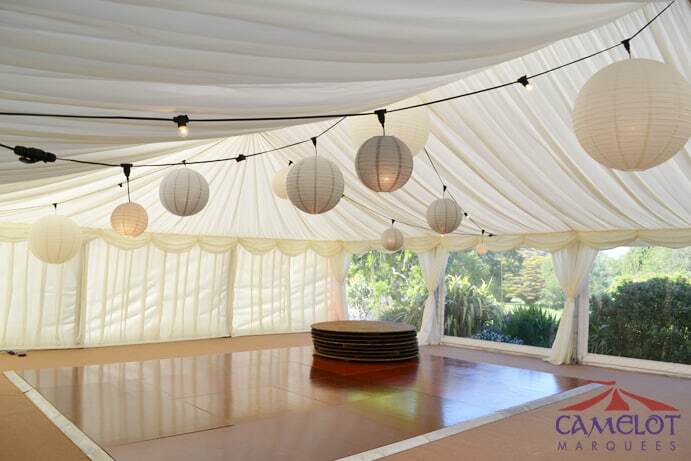 This option will truly take your marquee up a level and it wont go unnoticed. This makes the flooring system very attractive to wedding events and top notch corporate events where first impressions count! As the old adage goes “you get what you pay for” and this is also true for the hard floor. A good rule of thumb is it will cost as much as the marquee shell as to install one of these products is a very labour intensive job . Prices may fluctuate on a per site bases due to different factors such as how level the ground is already and access to the site. Both of these point relate to how much labour would be involved, for example can the vehicle pull up right next to the pitch or is the equipment being hand balled half a mile up a steep windy path (you get my point). If the ground is reasonably level then the extra still age required to level the floor could be vastly reduced, as would the work to lay it, reflecting on the end price. 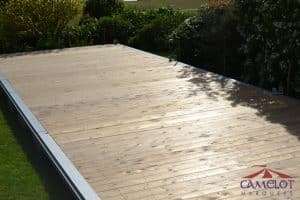 How big is the floor and how does the installation work ? 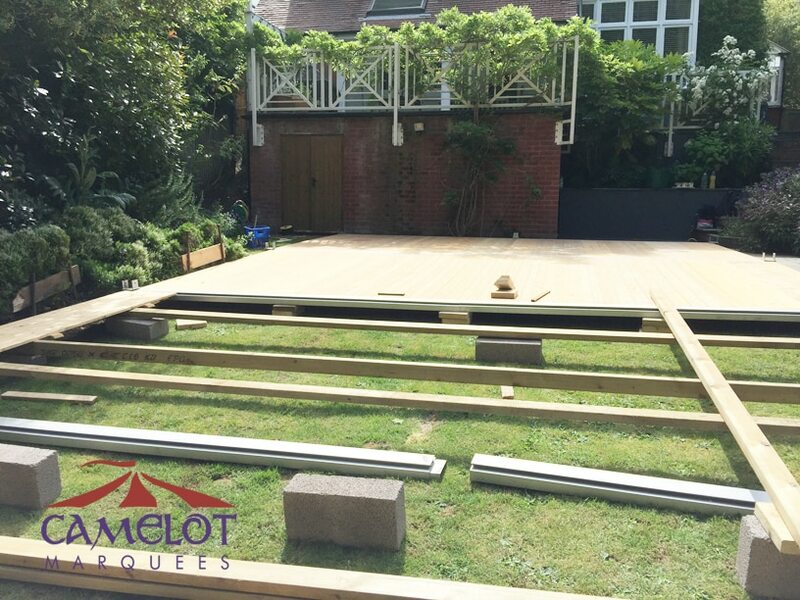 The floor we stock here at Camelot is a modular product so we can literally build it to the size of the marquee. 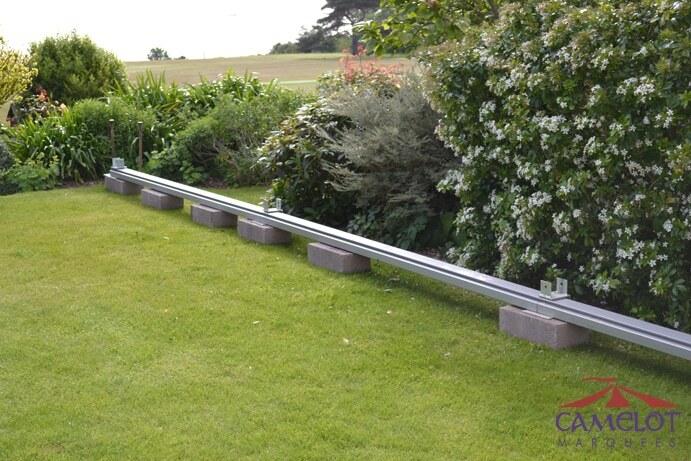 It’s manufactured from aluminium to create the main support beams and the boards are 3m wide to span a bay of the marquee. Wooden baton is used to support the boards then blocks and stillage to help level any uneven areas. The installation can be seen in the series of photos below. Contact us for a hard floor quote – A member of the Camelot team will be happy to discuss your event and answer any questions you may have.